The Law School's new curriculum focuses on how law shapes and transforms the foundation of a society. Students will engage in explorations of such present-day issues as the role of law in economic development, the legislative response to prison overcrowding, the international response to global warming, and the untangling of legal complexities in modern financial transactions. A variety of new courses are being introduced over the next few years to better prepare students for legal practice while still providing them with improved theoretical learning. 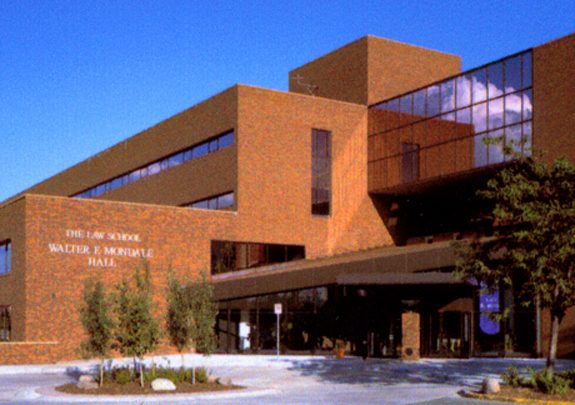 The new classes include intensive training in statutory interpretation, integrated into a legal brief writing program; Practice and Professionalism, introducing students to the practice of law and its theoretical and ethical underpinnings; and 'Perspectives on the Law' a team-taught class, exposing students to several different perspectives on such legal issues as law and economics and critical race theory. Arne M. Sorenson - President and Chief Operating Officer of MarriottMarriott International, Inc.
Want more info about University of Minnesota Law School? Get free advice from education experts and Noodle community members.